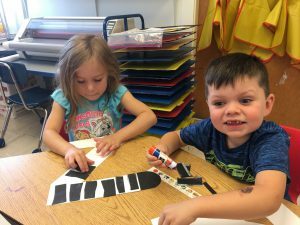 Concord Integrated Preschool is designed to foster a love of learning through a positive first school experience for preschool students with disabilities and community peers. We provide the foundation for kindergarten readiness and future academics by encouraging children to become independent, self-confident, and inquisitive learners. Our classes provide an educationally enriched and stimulating environment with developmentally appropriate activities, highly trained staff, and an exceptionally creative curriculum. The program is available to residents of Concord and children of CPS/CCHS staff. Applications for next school year are being accepted now! Please submit your application form to the Special Education Office in the Ripley Building, at 120 Meriam Road. Please listen to the TV or radio for school closing or delayed opening. If there is a delay, morning preschool is canceled; full-day classes will follow Concord's late start schedule; afternoon classes will run as usual. If Concord is closed, all preschool classes and therapy sessions are canceled. For more detailed information, see the Snow Days and Delays page.